Every company wants most efficient employees. To find these employees, you often need to hire a recruiter. The cost of hiring a recruiter varies from country to country and hence to cut costs, companies have been hiring recruitment process outsourcing (RPO) providers from overseas. It is a popular concept among companies of all types as they get the advantage of paying lower costs to offshore recruiters for the same quality of work. Every RPO provider has a set recruitment process. 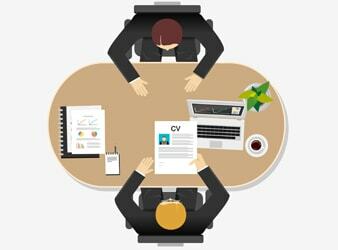 Since the candidate goes through several levels of interview, there is visibility in the process and low chances of partiality. Moreover, considering that the recruiters also have to abide by a strict recruitment process the scope of preferring one candidate over another is eliminated. India is one of the leading global RPO providers. A number of companies are increasingly outsourcing the recruitment process to overseas recruitment providers to focus on more important aspects of their business. Outsourcing the recruitment brings on board quality work as the workforce is completely engaged in building and executing strategic plans for the company’s growth. Earlier the RPO providers managed only the top management recruits, however the trend is slowly shifting towards handling the recruitment at all levels. At times, a company’s HR department might not be equipped to hire employees for highly skilled jobs. Moreover, the HR department in companies also have to carry out supporting roles like conducting employee surveys, which might take their attention off the recruitment task. Hence, hiring RPO providers in a smart move. RPO providers, in turn, have skilled and technical recruiters with years of experience who help in shortlisting the most suitable candidate for a job opening. In fact, setting up an HR department contributes significantly to the overall costs in the company. However, when a company undertakes the services of RPO providers, the latter is paid only after a successful recruitment. Finding suitable candidates and hiring them adds value to the company and its profit in the long run. RPO providers take care of everything from managing the job board, updating the company’s social media channels and respective job portals with the job opening announcements, to the time the hired candidate joins the company. RPO providers conduct cold calling, online tests, and web interviews, which usually is a time consuming process. Since they are constantly coming up with innovative recruitment techniques the system becomes very efficient, and hence they provide better recruitment services. All these aspects together confirm that offshore RPO providers are the best choice not only for startups but enterprises as well when it comes to hiring skilled candidates. Further, there is no need to maintain a huge HR department by a company, a small HR department to look after employees’ immediate needs like grievances, and payroll is sufficient enough.